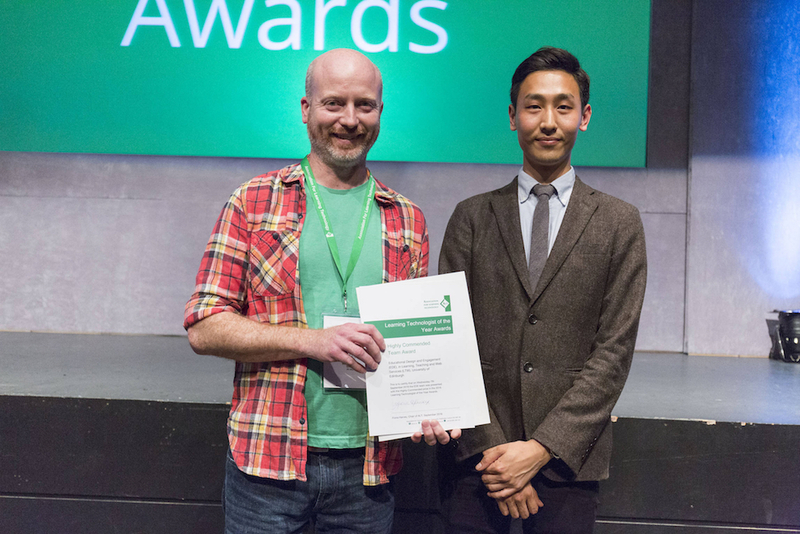 Two teams from the University of Edinburgh were acknowledged in the ALT Learning Technologist of the Year Awards at the annual ALT Conference at the University of Warwick last week. 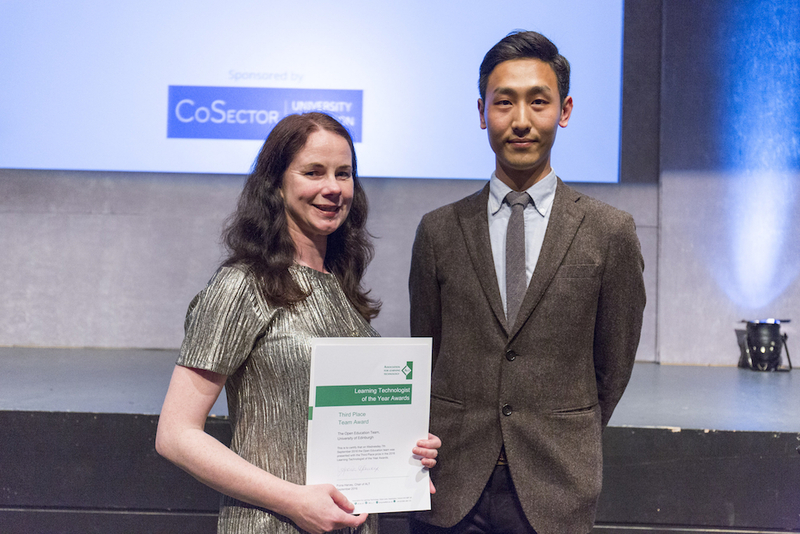 The Open Education Team was placed third in the Team awards, with the team from Educational Design and Engagement being highly commended. The ALT Learning Technologist of the Year Awards celebrate and reward excellent practice and outstanding achievement in the learning technology field, and aim to promote intelligent use of Learning Technology on a national scale. The Open Education Team is a virtual team within Information Services whose role is to coordinate open education and open knowledge activities across the University. The Team undertakes a wide range of activities that support staff and students to engage with OER, and help the institution to mainstream digital education across the curriculum. Initiatives run by the Open Education Team include the OER Service, Open.Ed, support for CMALT accreditation, engagement with Wikimedia UK and support for Open Scotland which raises awareness of open education policy and practice to benefit all sectors of Scottish education. The Educational Design and Engagement team, which came into existence less than two years ago, supports University teaching and learning by providing a central hub for developing awareness, support for staff and students and leadership for e-learning service improvements. With a developing portfolio of 35 MOOCs with over two million sign ups globally, the team continues to grow. In the past year alone, supporting a 20% increase in online assessment submission institution-wide as well as over 10,000 ePortfolio submissions. This entry was posted in higher education, oer, university of edinburgh and tagged altc, higher education, oer, open, OpenEdFeed. Bookmark the permalink.